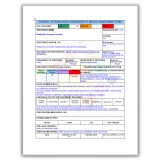 Our guide pack as been put together as a training guide, with completed examples using Material Safe..
Our Flagship Product special! 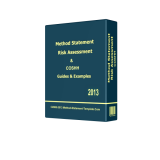 , The full Method Statement and Risk Assessment pack and our popular C.. 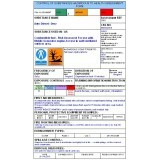 Completed Coshh assessment for Dulux Tade Diamond Matt Paint. .. 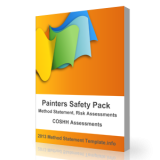 Completed COSHH Assessment for Dulux Trade Weathershield Paint ..
A Completed COSHH assessment for Ordinary Portland Cement, covering PPE, and the hazardous constitue.. 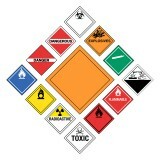 Completed Coshh for Silica dust (Building sand) .. 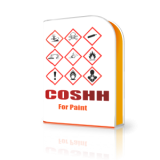 This Pack contains 6 Coshh Assessments for commonly used paints... Water Based Emulsion Leyl..
Our Painters Pack contains a basic Method statement that is simple to edit and if needed add any sit..
COSHH Assessments for Sikadur 32 ™ Parts A and B Covers typical coshh assessment infor..